Male beauty brand Guyliner has launched a new male concealer 'disguys', and it's set to launch on 1 August 2011. 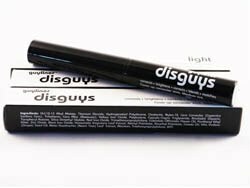 Disguys is designed to cover-up dark circles, spots and blemishes, and is available in three shades - light, medium or dark. What's your thoughts on Male Makeup?